Seamus has a way with words that both inspires and brings ‘the feels’ out of men. The Dadinator is definitely a favourite read of mine. Much dad. Very respect. Wow. 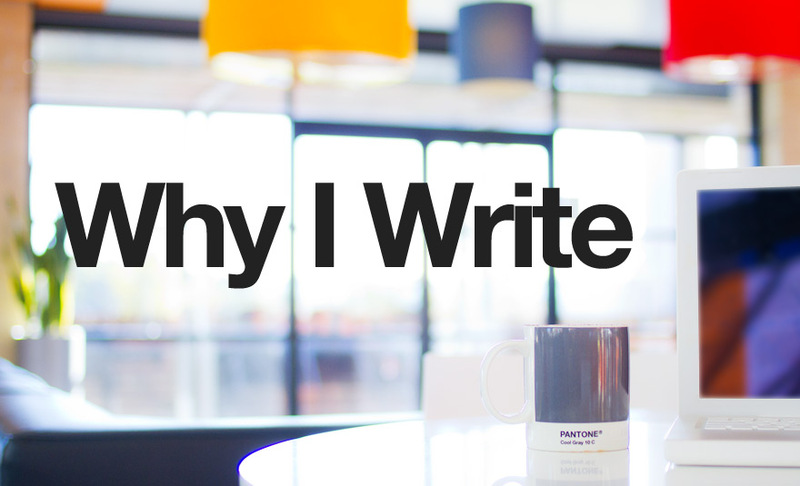 In an attempt to describe the method in which I wield words on the interwebs, here’s my addition to the “Why I Write” blog hop. Hi, I’m Mike from YDad! In terms of YDad, I’m currently formalising my blogging strategy. It’s been quite a bit of a challenge to be honest, but taking a break from writing has provided me with new ideas and insights, and a new ‘fire’. 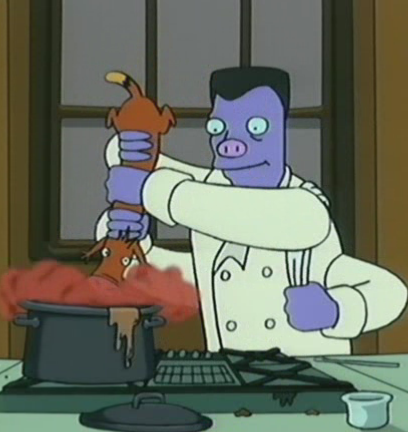 Now I’m ready to take my spice weasel and knock it up a notch… BAM! At home, I’ve been trying to do some ‘spring cleaning’ (in winter) by cleaning out the garage – it’s taking a lot longer than I hoped. Not because there’s a lot to sort out, well there is, but it’s too bloody cold to continue when the sun goes down! I’d much rather chase and tickle the kids or snuggle up with my wife to keep warm. I’d like to say I am ‘different’ because I write with my own voice (doesn’t everyone? ), complete with grammatical errors and random pop culture references. Because Gen Y Dad. I’ve never seen myself as much of a writer, but a creator of sorts; I like making stuff, whether it be video, design, photography, origami, food topped with obscene amounts of chocolate, whatever. Writing falls under that desire to create. I write because it’s theraputic. I find that it’s an outlet to get my ideas and feelings out instead of being bottled up inside of me. As with other creative endeavours, it’s a way to express who I am and what I’m going through, what I’m thinking. If commercial interests align with my vision, then I’m open to brands jumping on board to support my ideas. I write because I want other guys of my generation to know that it’s not the end of ‘being/becoming a man’ when you become a dad; it’s just a different path. Sure, it’s scary, it’s crazy, and poop-filled, but it’s a heck of a lot of fun too! One day my children might read all of this and just end up saying “daddy is silly”. And they’d be right! But I hope that they do find more. I start with an idea from a conversation I may have had with my wife, my family or friends and colleagues. Maybe it’s something that’s been pushing my buttons or grinding my gears. It brews up inside of me for a while until I can’t take it and I need to express it somehow. From this seed of inspiration usually comes a sentence or statement, and then I’ll build from there. Then I’ll either stay up until (or wake up at) some stupid hour of the night and type away continuously. 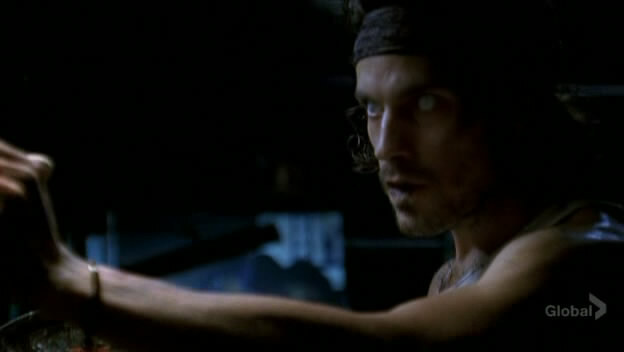 When I break free of ‘the zone’, like Isaac Mendez from Heroes I stand back in horror at the cryptic (and possibly apocalyptic) creation that I’ve birthed while in a trance. I then realise that I should get some sleep before needing to get up for work. I get my wife to decipher my writing in the morning, and we have a chat about how it may need a little more clarity or definition, or even basic comprehension. I might decide I need to get into another caffeine-induced trance to paint the rest of the picture. Less apocalypse, more dad stuff. I also tend to do a lot of thinking while I drive to and from work. The mechanical motions of the task of driving through Sydney traffic somehow forges a connection with the little ‘idea cogs’ in my brain as these, too, are set in motion. I’ve got three criteria I make every attempt to stick to when I write. The piece has to be in my voice (that I could read it confidently out loud and not sound awkward), it must have an intended ‘takeaway’ for the reader, and as much as possible I’ll try to include a tangent or reference to pop culture that I’ve grown up with. Who do I want you to meet? I’d like to introduce to you some of my friends whom I have the pleasure of knowing outside of the blogosphere. And they’re both Sydneysiders and great writers! 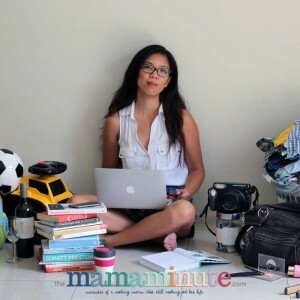 Joy Adan is a mum, wife and freelance writer and editor, and blogs about the fun, weird, emotional and entertaining moments that come with motherhood and marriage, and things that make taking care of herself and her family that little bit easier. The Mama Minute is her way of putting off the work she’s meant to be doing… but also happens to be a resource for expecting or new parents who are looking for ways to balance the demands of their growing family and work life – because there are only so many minutes in the day. Royal Temptress. Royal to some, Temptress to one. A Photographer by trade, Mother and Wife by nature, a writer for fun. With a piccolo in one hand, and a book in the other; it is my mission to load off what I’d like to say – only stepping on a few toes while I’m at it. Opinionated, I am. A Pushover, I’m not.